Face-to-Face or Virtual? What is your preference for connecting with graduate recruiters? Recent research conducted by TMP Worldwide shows that students value graduate recruiters’ presence on campus both in terms of displays at career expos and the more formal employer presentations. In this digital age, employers faced with increasingly busy schedules often grapple with the decision whether or not they should participate in University Career Expos/Fairs. What do you think? What message should university career services be taking back to employers? Are you happy to trawl through company websites to look for career opportunities, or do you prefer to meet them face-to-face at a campus expo? 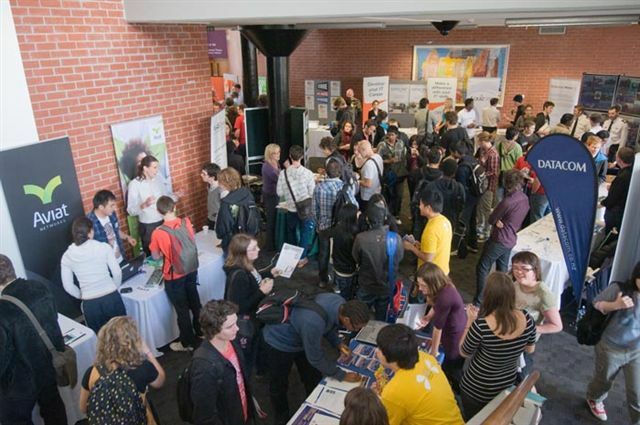 Read the full article titled “Graduate recruitment fairs are still popular with students considering their future careers” on www.hrmagazine.co.uk . Don’t forget to tell us how you prefer to meet with potential employers!